On Venice's famed isle of Murano, our glass masters preserve the art of lampworking as they hand-shape this stunning asymmetrical torsade necklace, handcrafted, one at a time, over a small flame. 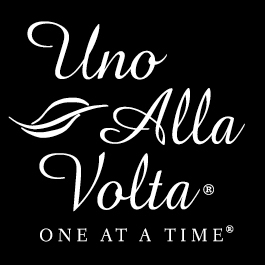 Each necklace, made exclusively for Uno Alla Volta, features silver-infused glass beads and thousands of tiny hand-strung seed beads with silver-plated findings. This necklace is masterfully handcrafted from the hearts and hands of artisans. No two are exactly alike. Necklace measures approx. 25.5in. long, with lobster clasp. On Venice’s famed isle of Murano, glassworking traditions have been passed down through families, generation after generation. Lorena learned the art of lampworking from her grandmother, as the torch was, quite literally, passed down to her. Today, her business remains a family affair as Lorena’s sons, her sister, and even her mother work right by her side.